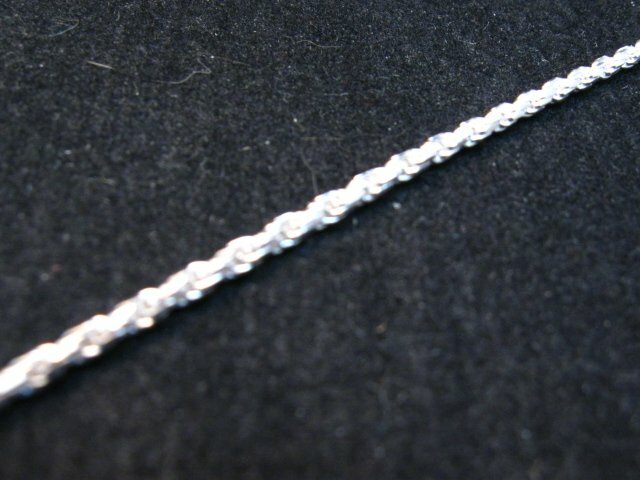 2mm Sterling Silver Diamond-cut Rope anklet chain. 9 inches long. 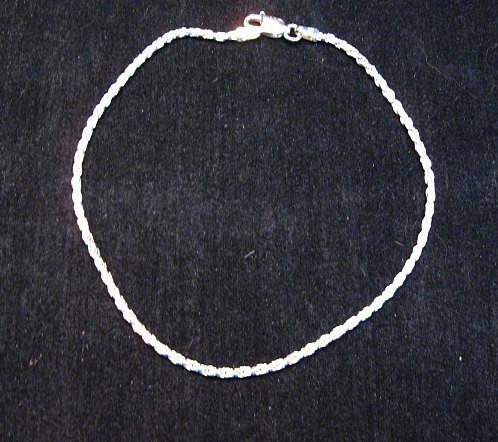 Could be worn as a bracelet too. Lobster claw catch.